It’s no secret that, apart from Ceil Chapman and Claire McCardell, I’m primarily obsessed with California designers of the 1940s and 50s. Today we’re going to talk about one of the lesser-known designers, but still fabulous in her own right: Madeline Mancini. This lovely chiffon skirt is an excellent example of Mancini’s evening separates. 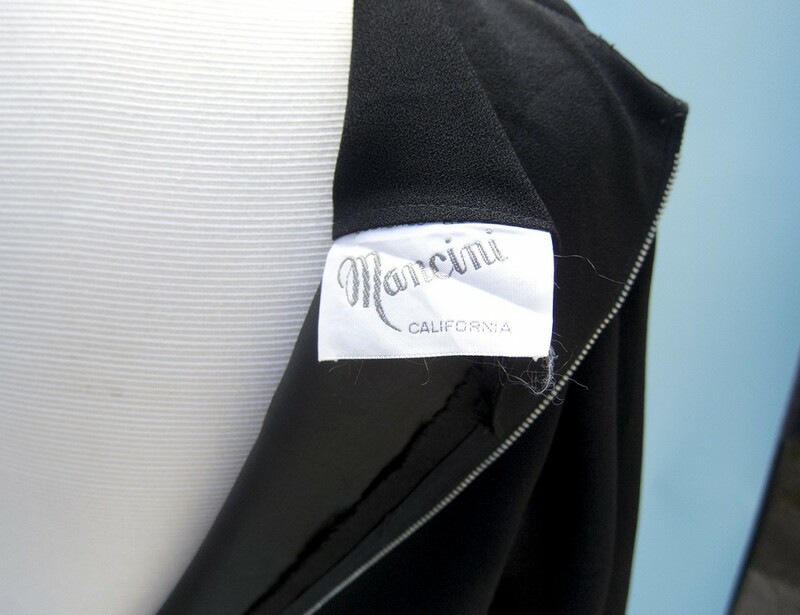 Mancini designed for Phil Altbaum under the label Mancini of California. She was the daughter of Italian immigrants who came to New York in 1903 with three children; she was born in New Jersey in 1912, and started working as a seamstress with her sister at a very young age. Her father was a tailor, her brother a finisher at a silk mill, and her sister Rose was a buyer for a local store (possibly the family’s, but I can’t verify this). By the late 1940s, Madeline was working for Nettie Rosenstein, and Rose was working for Maurice Rentner and was engaged to Phil Altbaum. Altbaum was also the child of immigrants. His family came from Russia in 1920, and his father Morris was also in the dress business. In 1948, Altbaum decided to move to Los Angeles and open his own firm, persuading Rose and Madeline to join him. He would function as president of the new company (“actually, it was more like shipping clerk in those days”) and Rose would be vice president (“it was bookkeeper and office manager then, but we all worked like whirling dervishes”). Madeline would be the designing partner. Around 1955, the design team would expand to include Betty Ingvold, who created the Vago Juniors line. Lovely wool crepe cocktail LBD, $45 in my etsy store. 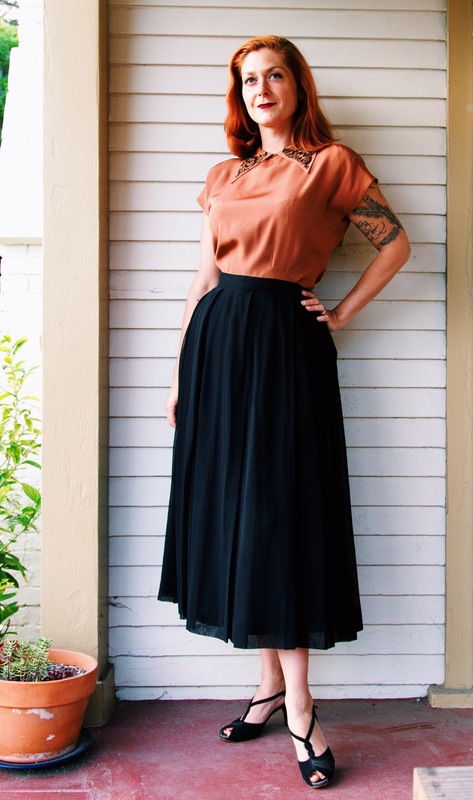 An easy silhouette and fabric to wear to work, but could also be dressed up for evening. 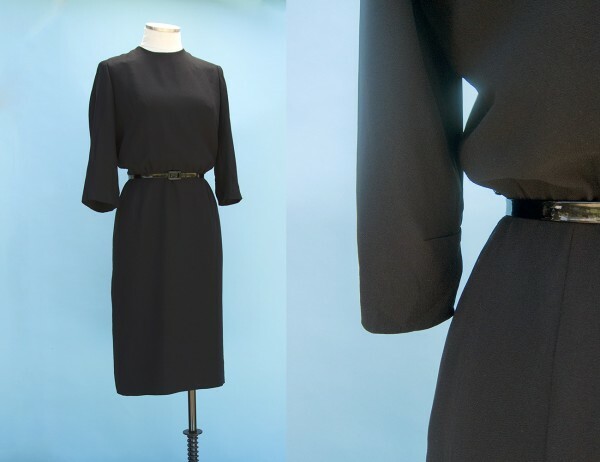 In the late 1950s (1957, specifically), in response to what Paris designers were doing with their collections, American designers were playing with moving away from the nipped waist look in favor of more relaxed, but still slim, shapes. “In the middle of the chemise controversy are Addie Masters and Marjorie Montgomery, who are against, Madeline Mancini and Betty Ingvold, both designers for Phil Altbaum, Inc., who are for, and De De Johnson, who stays pretty much with her accepted waist accenting costumes…” Chicago Tribune, November 11, 1957. I stay pretty much with my accepted waist accenting costumes as well. Madeline continued to design into the late 1960s. She died in Los Angeles in 1992. Thank you for posting this. My sister and I were trying to find information about the dress my mom was married in. It is has a Mancini California label. It is so nice knowing more about the designer.